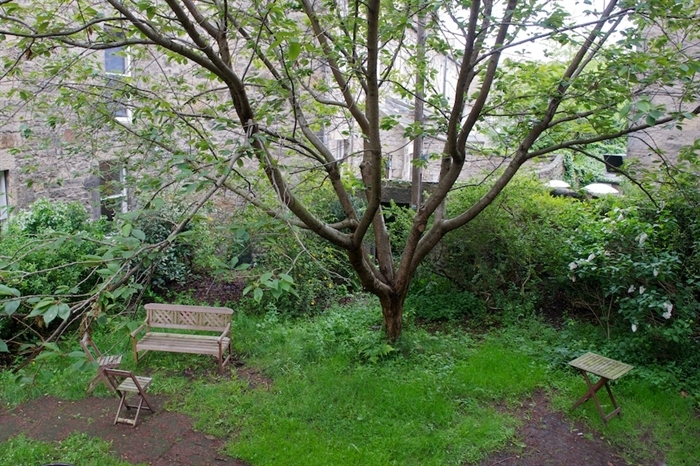 Charming two-storey mews cottage with patio and garage, situated in a very quiet street in Edinburgh’s Georgian New Town. 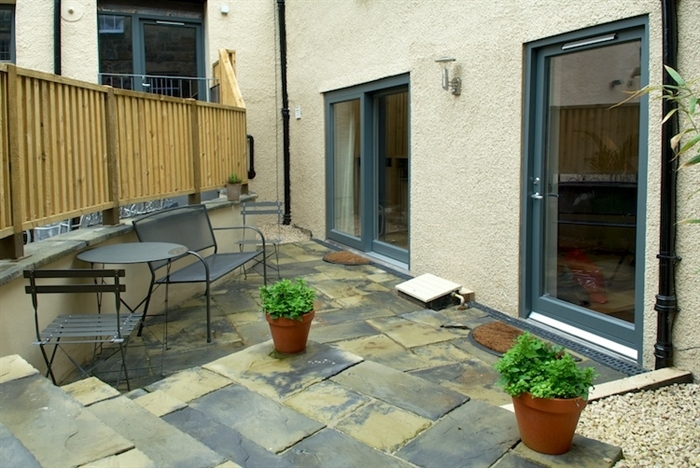 Originally built in the early 1800s as a tea merchant’s office and warehouse and converted in 2012 to a private residence, this delightful self-catering holiday home is so quiet it is hard to imagine it's a mere five-minute walk from the hustle and bustle of Princes Street, and only a ten-minute walk from the High Street and Old Town. Set behind its own high wall and secure gate, this cottage also has a delightful secluded patio in which to enjoy sunny afternoons and pre- or post-dinner drinks. 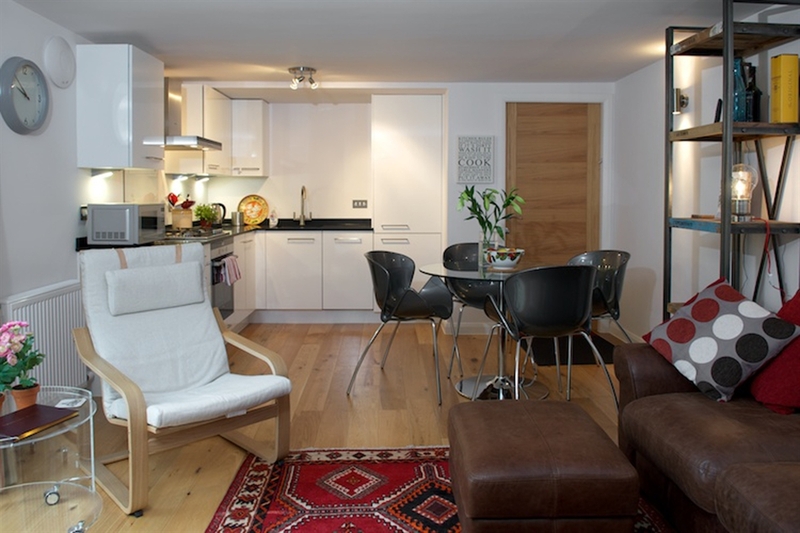 Albany Lane has a very well equipped kitchen, but if you'd rather not cook you are less than a minute from Broughton Street, which has a wide variety of bistros, restaurants and bars, with something for every taste. 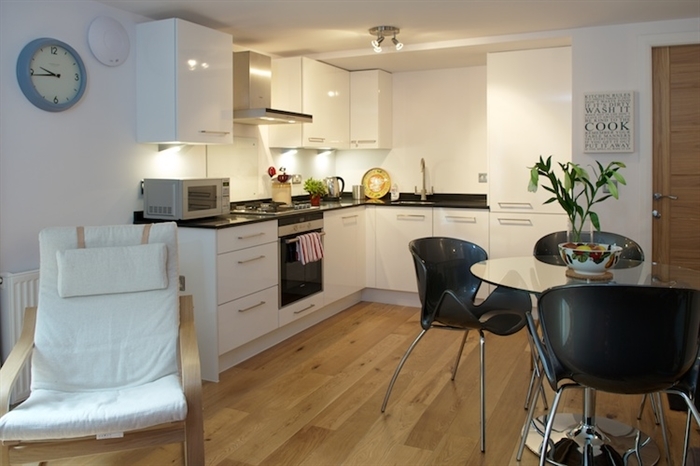 The kitchen has a gas hob, electric oven, large fridge, freezer and dishwasher, all top of the line Siemens units. A microwave is also provided. 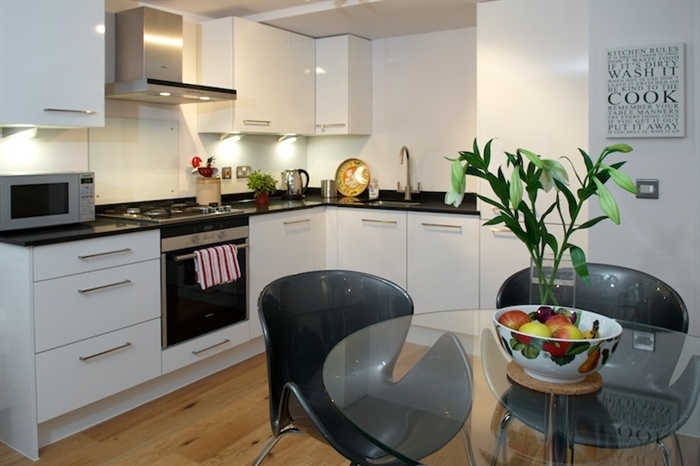 The kitchen is part of an open plan room on the ground floor which also includes dining and living spaces, with a large patio window and door. 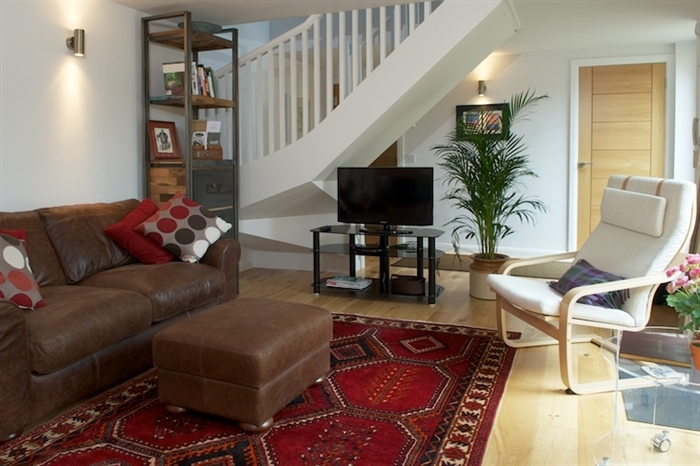 The living area includes an LED HD TV and DVD player and several Freeview HD and radio channels are available. 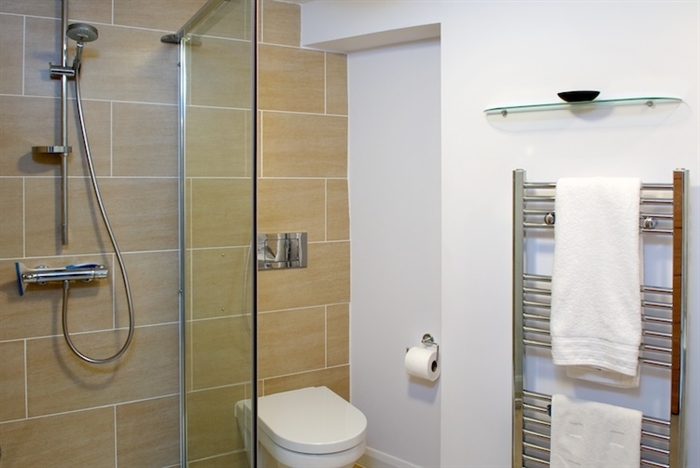 Also on the ground floor there is a toilet/shower room with under-floor heating. 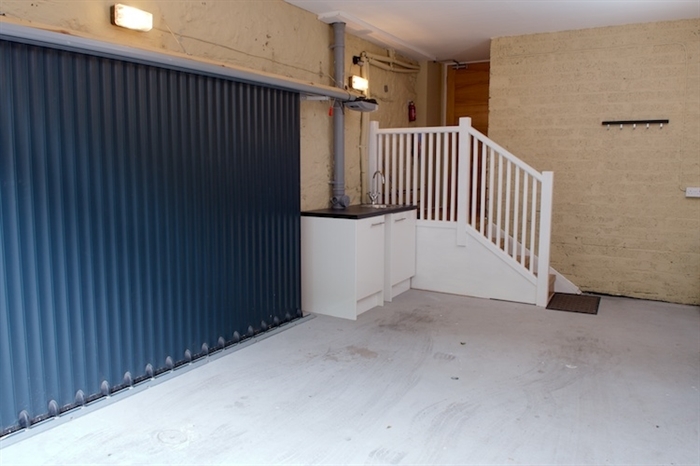 Through a door in the kitchen, and leading out to Albany Street Lane, is the attached garage, which houses a Siemens washing machine and separate dryer. Please be advised that although the garage is high and wide, if you plan to bring a car, it is 14ft 6in (4.42M) long and the entrance is 9ft (2.77m) wide and 6ft 4in (1.95m) high. 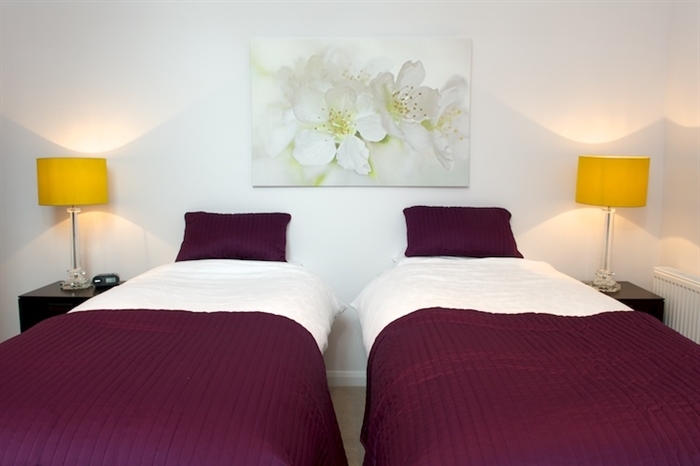 Upstairs the master bedroom has two full-size single beds which can be combined to form a super-king sized bed. 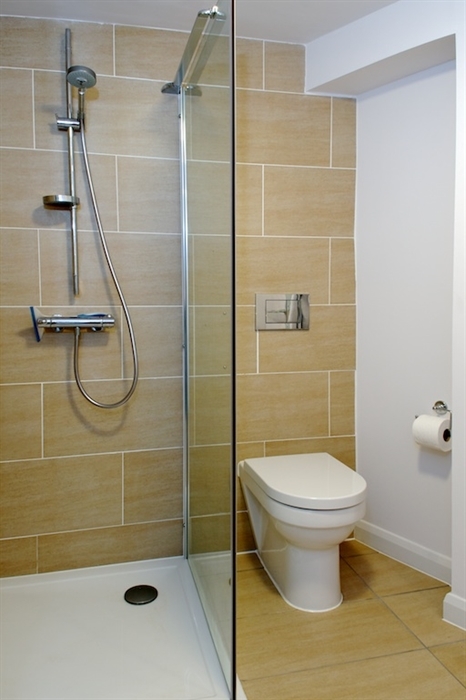 The master bedroom has an ensuite bathroom with bath and shower and is also equipped with under-floor heating. 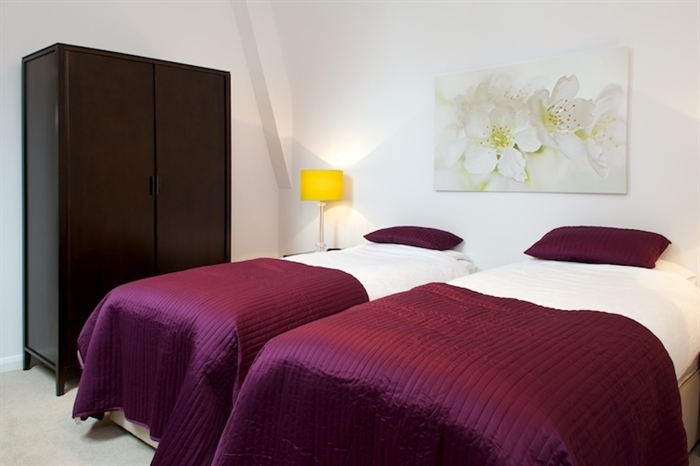 The second bedroom upstairs comes equipped with a double bed, dresser and wardrobe. 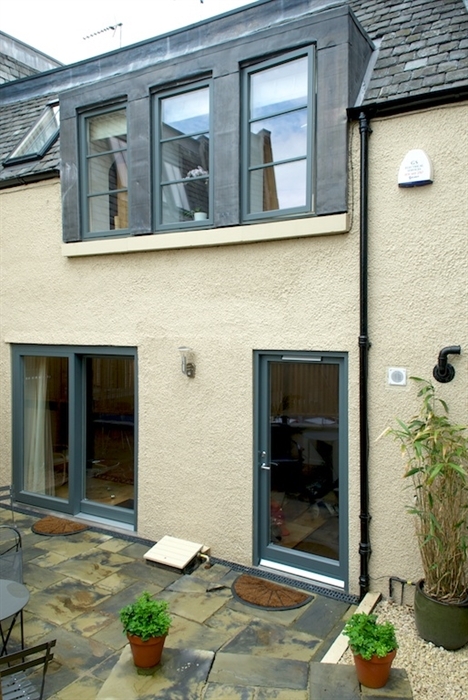 This mews cottage has been wired for internet access so devices can be connected via the access ports in the main room and master bedroom or via secure Wi-Fi. 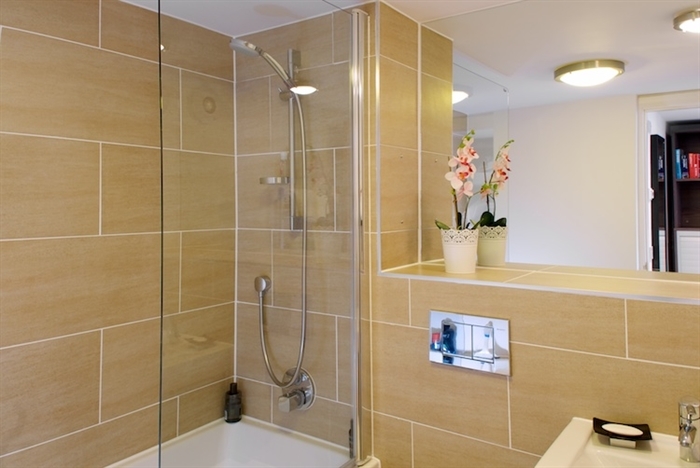 The efficient central heating system will warm you even on the coldest evenings. 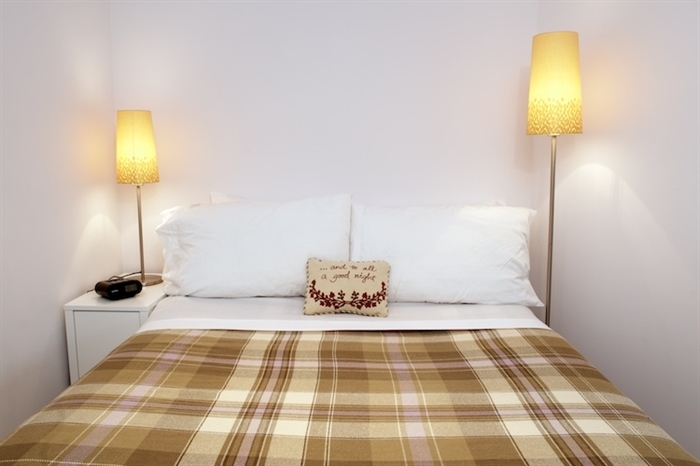 If you want to stay in a charming self-catering cottage with its own garage rather than an apartment, this is a great place to stay; close to all that this great capital city has to offer, yet far from the madding crowd. 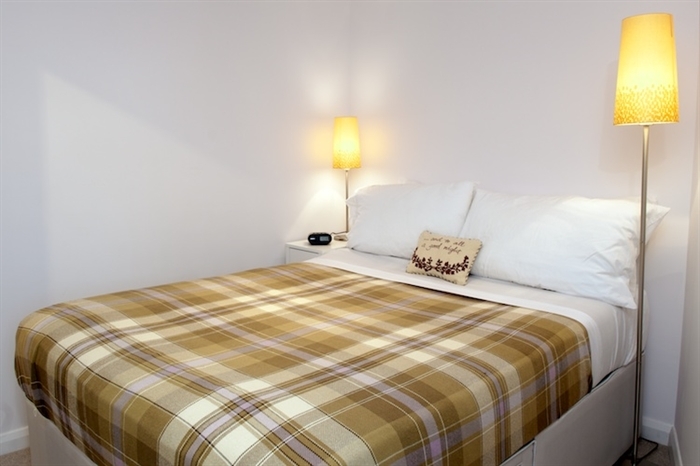 The rates include hot water, electricity, gas, central heating, towels, linen, internet and taxes.